Julio Carrillo, 51, and Sharon Carrillo, 33, were arrested at about 5 p.m. Monday, Feb. 26, 2018 and charged with murder in connection with the death of their 10-year-old daughter Marissa Kennedy. Searsport Elementary school where 10-year-old Marissa Kennedy of Stockton Springs went to school. The girl's mother Sharon Carrillo and stepfather Julio Carrillo were arrested Monday, Feb. 26, 2018 and charged with the girl’s murder. The private condominium complex where 10-year-old Marissa Kennedy lived with her mother Sharon Carrillo, 33, and stepfather Julio Carrillo, 51, in Stockton Springs. Sharon and Julio Carrillo were arrested Monday, Feb. 26, 2018 and charged with the murder in connection with the girl's death. A 10-year-old girl allegedly killed by her mother and stepfather in Stockton Springs suffered months of physical abuse, according to court records. The girl’s mother, Sharon Carrillo, 33, and her stepfather, Julio Carrillo, 51, were arrested Monday evening in connection with Marissa Kennedy’s death at a condominium owned by Sharon Carrillo’s parents. The girl’s parents allegedly forced her to kneel on kitchen tiles and raise her hands above her head while they repeatedly struck her in the abdomen and ribs with a belt as punishment, according to an affidavit detailing the police investigation. About three weeks before Marissa’s death, the Carrillos allegedly used a metal mop in place of the belt. The mop broke in half after repeated strikes to the girl’s midsection, according to court documents. Police say that broken mop was still in the room when they arrived to investigate her death. These beatings happened regularly since at least October, the parents allegedly told police. The girl also was allegedly locked in a dark closet as another form of “punishment” and would scream for extended periods. Both parents told investigators they decided not to seek medical help for Marissa when she stopped moving and her speech started slurring after one of these beatings on Feb. 22 or 23. They “punished” her again because they believed she was pretending. The couple allegedly hatched a scheme to set up the basement to make it appear as if she’d fallen in an accident. Julio Carrillo called 911 on the afternoon of Feb. 24, claiming he’d discovered the girl unresponsive and bleeding from the mouth downstairs next to the furnace. He claimed Marissa had been playing in the basement alone for the previous several hours before he went to check on her. He said he carried the unconcious girl upstairs, set her in a chair, then took her to her bedroom, where she was when paramedics arrived and soon pronounced her dead. Both Carrillos repeated that story when police interviewed them later that day. Investigators questioned their version of events when they didn’t find any apparent blood in the basement, but did find “brown stains” on and around a chair in the kitchen, behind a toilet and in Marissa’s bed. Detectives also noticed bruising on her stomach and swelling above her eye. When detectives asked the couple about whether they physically disciplined the girl, both Carrillos allegedly admitted to participating in the abuse and attempted coverup, according to the affidavit, which was unsealed after their arrest. Julio Carrillo allegedly said he was concerned that Sharon would lie and say he had done all the beating. Sharon told police she was worried Julio would get all the blame, according to the affidavit. Julio Carrillo told investigators he had been in the process of trying to adopt Marissa. Another officer found a note in the kitchen dated Feb. 24 that was addressed “To whom it may concern” and stated the unnamed author “could no longer control the child,” according to the affidavit. Police interviewed several neighbors in the condominium complex at 7 Harbor View Drive in Stockton Springs. Several said they often heard sounds of fighting and arguing coming from the apartment, including on Feb. 24, but the noise stopped around 4 p.m. It was allegedly quiet on Feb. 25, according to a neighbor. 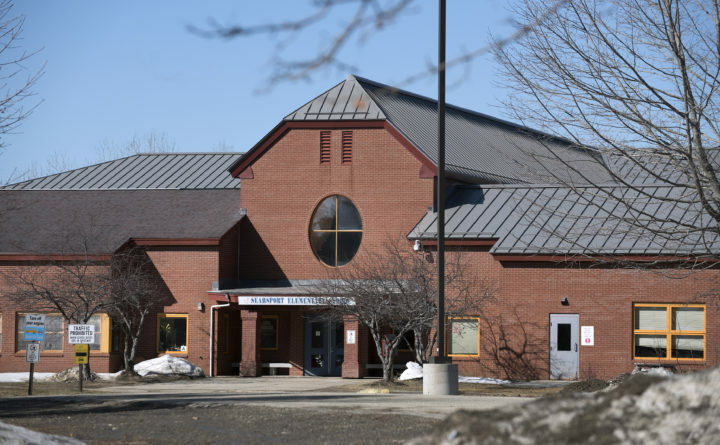 The couple reportedly spent the night of Feb. 25 at an emergency shelter in Bangor, according to people who slept there. Jason Jackson was one of several people who reported seeing the Carrillos at the Hope House the night Marissa was found dead. Employees for the shelter declined to comment. The Carrillos are expected to make their first appearance in Waldo County Superior Court at 1 p.m. Wednesday. Last year, she attended Bangor public schools, Superintendent Betsy Webb said, although Webb declined to provide any further details. Searsport District Middle and High School Principal Marianne DeRaps, speaking on behalf of the district, said that the district had “activated its crisis response team,” making grief counselors available to students and staff at the school. Asked whether Marissa had been absent from school recently or whether teachers or school staff had seen any signs of depression, injuries or abuse in the past, DeRaps declined to comment. “Right now we’re trying to take care of our staff and students,” she said. April Willard, a cashier at Dollar General in Searsport, told the BDN that she waited on Sharon Carrillo and one of her younger children last Thursday or Friday. She described Carrillo, who was looking for a job at the store, as being very quiet and soft-spoken. 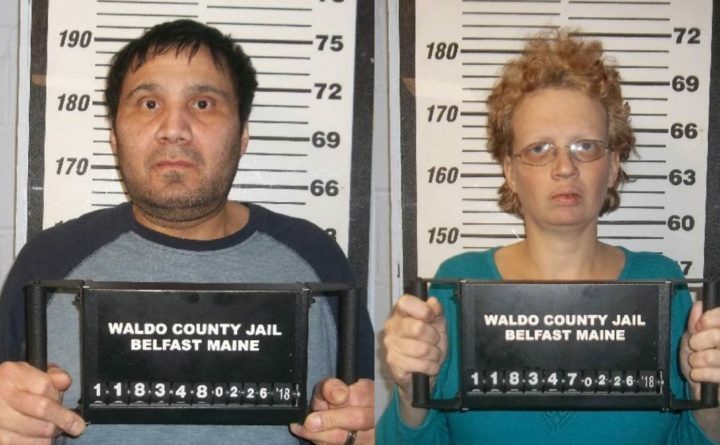 Police reportedly were called to the Carrillos’ address for domestic disputes multiple times in the past, both in Waldo County and Bangor, according to the affidavit. The documents didn’t specify where, when, or specify the reason police were called. 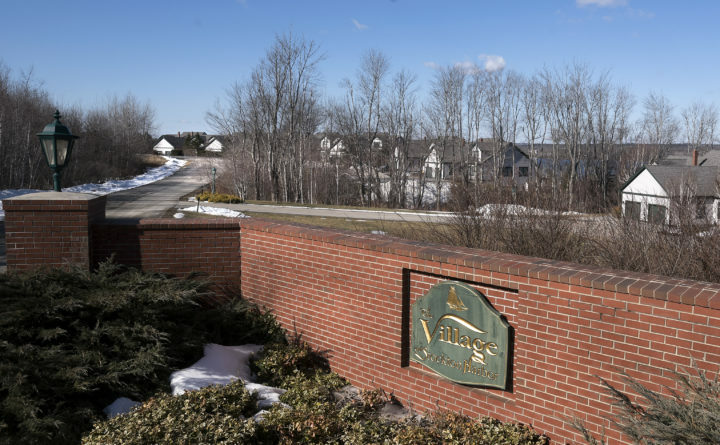 Two younger children living inside the condo, ages 1 and 2, have been placed with the Maine Department of Health and Human Services. Maine Department of Health and Human Services spokeswoman Emily Spencer said Tuesday that she could neither confirm nor deny whether the Carrillos had ever been investigated by or reported to DHHS. Willard said that the news of Marissa Kennedy’s death has rocked the community. BDN writers Abigail Curtis and Callie Ferguson contributed to this report. To locate your local Domestic Violence Resource Center, call the statewide helpline at 866-834-HELP (4357) or visit www.mcedv.org. For resources or support to prevent child abuse, call 1-800-422-4453. Correction: An earlier version of this report included an incorrect spelling for Marissa Kennedy’s first name. The Department of Public Safety provided inaccurate information.